What is Blogging? Who is a Blogger? and What is a Blog? Domain name is a name people use to reach your website or Blog just like Blogginggame.com is a Domain name and you reach Blogging game by entering that URL in your browser’s Web Address Bar. I have Explained the process of getting the Domain name registered for your Blog above but for your Convenience, I am going to Explain in a Quick Comment. Registring a domain name is not a big issue you can get a domain name registered from any good Domain Name registrar, I personally recommend namecheap.com because they are really good at it and the interface they provide you for managing your Domain name is pretty Easy and Awesome. Godaddy is also a Domain name registrar but I am getting real Huge number of bad reviews from my friends and Blogging community about them, so go for namecheap. Your Second Question is that how can you make Legitimate Income by Blogging. Truly Speaking, Blogging is as hard to learn and implement as hard any other Field is, You have to learn a lot and its real Hard to make even your First penny from Blogging (Thats a bit Harsh Reality). So if you really want to make from Blogging, you must have an urge to learn and you can start making money in 6 months or a year. Blogging is a Long run race so you have to be patient for any kind of income from Blogging. i understood everything….thank you so much. Roshaan, thanks for your message. i am currently learning how to build a website with HTML. I ‘ll continue the training with CSS, PHP and JAVA SCRIPT. Please tell me how i can get resources that will guide me to blog and do proper blogging to earn a living. i am yet to own my website. Your response will give me the necessary information i need to start proper blogging. I would suggest you to start WordPress development just after you become expert in web development languages. You can try different resources for information and updates about Blogging. Roshaan, I’m a student of computer science doing my B.sc but i’m having confusion in programming languages.I’m expert in HTML and CSS.What should i do to create my own website.kindly tell me step by step so that i could make my own website no matter how much time it does it take. Thank you so much for the awesome training, I am learning a lot. You touch on the surface for the question posted by “Adewunmi” but did not go into details about how you actually make money. From reading and listening to webinars, I think I have an idea, please confirm if I am correct. You make money when advertisers post their ads to my blog and the more clicks they get, the more money I receive, is that correct. Also I can approach some companies and ask them to post to my site as well, right? This, as you mentioned, can take up to 1 year before I start making money. Is the reason being, I will have to build my reputation before I am trusted with these ads? Please confirm if I an correct or respond with how it is actually done and please elaborate, for I am a novice at this. First of all, Sorry for a Late reply. Actually Making Money online is Quite a Big Game.I touched the surface because It needs a Complete big post for that. 1. You need to Build a an Authority Site, and By Authority Site I mean Good Quality Content(not copied one), Good Design and Better loading Speed. 2. Yes, Advertising Networks like Google Adsense or Buysellads, etc Look for a Good Quality Sites. All of them have Totally Different Factors to Approve or Disapprove a site for their Program. 3. How I make Money is by Affiliate Marketing, Selling other’s Products(I get better Earnings with that), Just Like the Hosting I use is Good for me(Always up) so I promote it as an Affiliate and they pay me commission per sale, I also Promote theme Company whose themes I use on my websites, they also pay me good. 4. There are many kind of Online earning Models, like Affiliate Marketing(Selling others Products), CPA)Cost Per Acquisition), Contextual Advertising(Like Google Adsense), CPI(Cost per Impression, Like Buy Sell Ads), etc. You just Need to recognize that what would benefit you more and get started with it. But the Base is You should Must have a Quality Website. A complete guide! Thank you dear in advance for sharing this informative article with us. I’ve been using WordPress since 2010 and running my all blogs on a WordPress platform. Your “what is WordPress” section is really pretty. WordPress is the best CMS all over the internet world and perfect for blogging. I really love WordPress. Main thing, WordPress is more SEO friendlier than others. Thank you again for this pretty informative article. Thanks Roshaan. i have been hearing of blog without knowing the idea but now i have a full understanding of it. Your approach of using simple grammar and attempts to answering questions has thrown greater light on this subject. Thanks again. 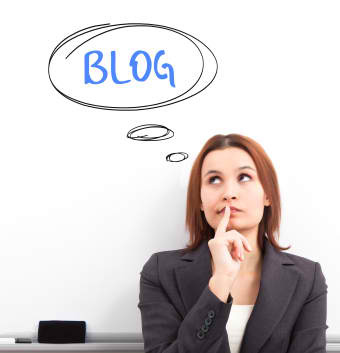 Hamid Roshaan, You better know what is blogging, and what is a blog, because you already have this amazing blog. can a layman start blogging with no knowlege in information technology or computer science? Thanks for sharing, Now I have understand a lot between Blogging and Blog. Am very greatful for the information blogging,now how can i post my poems to a good blogg? I would like you to feed me further. What is the relationship between blog & social site like facebook, waptrick e.t.c. First of all thanks for guiding to all the beginners like me. Your all the comments above are really full of information. I also need some guidance on it. Suppose I create a blog. With the use of various online advertising options, I become able to draw a sizable traffic. Now I want advertisers to use some allotted space in that blog. How can I contact/reach to them? If possible reply with some links attached as well…. Thanks for your Newsletter, i will like be a professional blogger, start a free of cost blogging as trial, how do i go about it. i have a blogger account and a website to which i have already linked my blogger account. So do i still need a web hoster for my webiste or not? 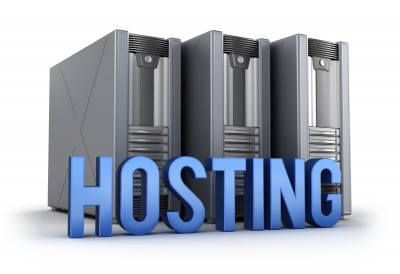 Hosting does really matters for ranking in search engine results? or CMS matters? Hosting doesn’t matter at all, you can host your blog on blogger, also CMS is just a software which helps you to manage your website in better way, so it doesn’t matter too, you can code each page of your blog or site and design and code all things yourself but it would be much time taking. was searching the meaning of blogging. Jeez, u r amazing. God bless you. I will try out to create a blog 4 my self using d options u given nd get back to you. online business 4 me. I want to learn nd know hw to use it. Well, i am glad to hear that my article was of some help. Roshan To manage a wordpress or blogger site should I need to learn HTML or css programming langauges?Can you explain briefly about this Question ? Thanks for this great article for a newbie like myself.Please I want to make money online using my website to promote affiliate marketing and I want to know if it is advisable to use blogging or word press, since they offer free blog and hosting? thanks so much for this tutorials. please i`m an IT student and we are been introduced to a lot of concepts in ICT and i want to specify in Web designing or creating bloggs. I started with webs.com and i`m currently practicing adobe dream weaver so can i use it to learn blogging? If you wanna step into blogging, try selfhosted wordpress or Blogger.com, You can try quicksprout.com/blog copyblogger.com for detailed blogging and SEO Guides, also I’ll recommend moz.com for Detailed SEO guides. Webs is not that good platform for blogging. sir, i want to make income from my own website,blog please help me. i am new on this way. You really helped me lot in knowing about the blogging .Nice & clean sentence which helped me to understand every stuff in a systematic manner. There are many ways to earn through blogging, I may share detailed ways in my later blog posts, these days I am kinda busy and not able to write a post on this topic. Hi there, I am really sorry it took me bit long to respond, Yes you can migrate from blogger to self-hosted wordpress with all your content, not sure about wordpress.com, Check out my blog post to understand difference between Self-hosted wordpress (wordpress.org) and wordpress.com. plz can u write articles and the same time advertizing ,marketing etc on the same plaform /site . how much do u need to invest into blogging ? Absolutely, that’s what blogging is, working as an all-rounder for your blog. Doing SEO, Research, Writing, Designing, Publishing and building relationships. I am using free domain service is it ok? In my point-of-view, it’s not ok. It is much better to pay and use a good TLD like .com/.net/.org, instead of using a free one, which holds small/no value. attract the eyes of politicians and cooporate managers? You do some research and narrow down the keywords your targeted audience is searching for and then write about it.